Very close friends of ours live in Jerusalem, Israel. He is an extremely important and well known man there. Their son was married to our daughter for many years. Several years ago he needed open heart surgery. His family recommended he go to Baltimore, New York, Boston or Cleveland. Suddenly we heard he had the surgery in Haifa. The next time we were with him, I asked why he picked Haifa. Tel Aviv could be understood but no one goes to Haifa! He stated that some years before he had been watching television with no thought of ever needing heart surgery. They showed a doctor walking down the street in Haifa with all the patients on whom he had performed open heart surgery following him. There were over 500 following. He made up his mind right there that if he would ever need open heart surgery, he would go to this doctor in Haifa so he, too, could walk in the parade in future years. I felt there had to be a connection between this experience and our work in cancer. We believe that the second largest correctable cause of cancer mortality is believing through ignorance that death and cancer are synonymous and failing to fight when diagnosed. Tobacco, of course, is the largest correctable cause of cancer mortality. If we could convince healthy people who have no interest in cancer because it only happens to other people that there is not only a possibility of life after a diagnosis of cancer, but a quality life, many would try to fight and could be saved. We came up with the idea of the cancer survivors Rally in the Fall of 1985 and held the first Rally in Kansas City the first Sunday in June, 1986 at a park in the center of downtown. The purpose was not to entertain those attending, even though that was the natural result, but for the media coverage after the event that would show the millions exposed to it that the diagnosis of cancer did not mean death. I went to the publisher of our newspaper and explained the purpose and he immediately cooperated. Not only did he give the Rally a front page color picture in Monday morning’s paper, but he called the head of the ABC-TV affiliate in Kansas City and suggested he call Good Morning America and get them out to cover it. They did and that was the birth of National Cancer Survivors Day. Having seen it on Good Morning America, numerous cities had the Rally the next year. Then Coping magazine joined with the national office of the American Cancer Society (ACS) to co-sponsored the event nationally. Later, the national office of the National Coalition for Cancer Survivorship (NCCS) took over co-sponsorship from ACS. In 1994, the non-profit National Cancer Survivors Day Foundation was formed to equally and fairly assist all cancer-related organizations wishing to hold a National Cancer Survivors Day (NCSD) celebration and to obtain national publicity for the event. Today, NCSD is the world’s largest cancer survivor event and is sponsored nationally by Coping magazine and philanthropic companies interested in bettering the quality of life for cancer survivors. Although the national offices of ACS and NCCS are no longer national sponsors, their local chapters remain highly active in hosting NCSD events. Anyone interested in starting an NCSD event in his or her community may call the NCSD Foundation at (615) 794-3006 and request a free NCSD Celebration Planning Kit. The Rally is an annual reality the first Sunday in June in hundreds of cities across the United States. A few cities celebrate it at some other time for a specific reason. In Palm Springs, California, the Rally is held in April because it is so hot in the desert in June and so many people have left town. Whenever it is held, its message is the same. 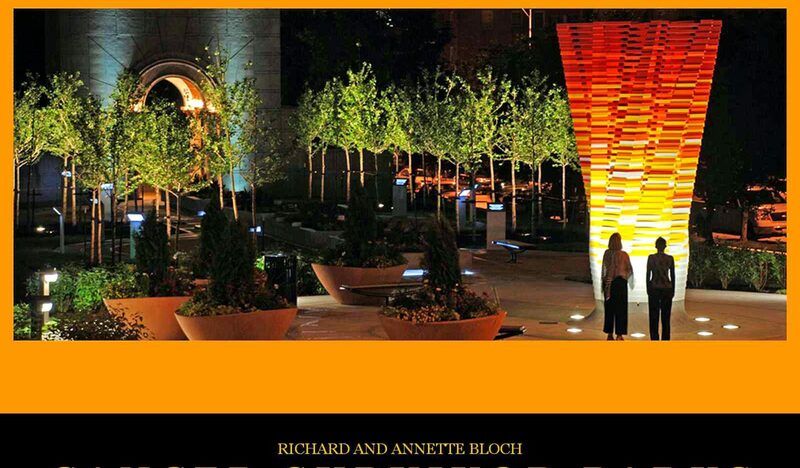 In cities with a Richard & Annette Bloch Cancer Survivors Park, that is the site of the Rally. Everyone working on the Rally knows they are helping people who they will never know. They are giving unknown individuals the will to fight for their life. They are improving the quality of life for many. Whether you are a cancer patient or the supporter of a cancer patient, when you attend the Rally, not only will you enjoy yourself, but you will inspire others not yet diagnosed with cancer to fight the disease when they are diagnosed. You are truly performing a blessing. Thus from open heart surgery in Israel to National Cancer Survivors Day is just one small step.